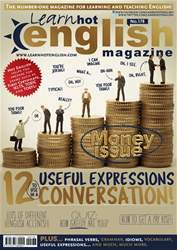 Digital Subscriptions > Learn Hot English > 178 > 12 TO USE IN A USEFUL EXPRESSIONS CONVERSATION! When you’re having a conversation in English, you often need to respond to things so you can show surprise, sadness, agreement or anger. Here are 12 expressions for doing just that! In each case, the comment or expression is made by person B.
You’re going to listen to a conversation, with someone talking about their hotel experience. Listen once. Were any of the things you thought of for the Pre-listening task mentioned? Listen again. Then, choose the correct answers.